Option to purchase a Sabine & Sparrow scented eye pillow valued at $16 for just $12. 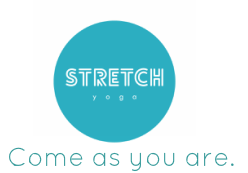 Enjoy our blissful intimate space and take the time to relax and rejuvenate with this gorgeous 2 hr Restorative Yoga practice. Taking time out to completely relax is something that so many of us rarely do. Our lives are so busy with work and family responsibilities that relaxing falls way down on the list of priorities. Carving out time for relaxation and nourishment is such an important part of our well-being - physically mentally and emotionally. During this beautiful workshop Kaitlyn will guide you through a range of restorative poses incorporating massage, Tibetan bowls, bells and aromatherapy. The session will focus on allowing our body and mind to deeply relax - a blissful 2 hours just for you! ​Sabine & Sparrow eye pillows are made from 100% cotton covers and filled with linseed. Can be heated and cooled.